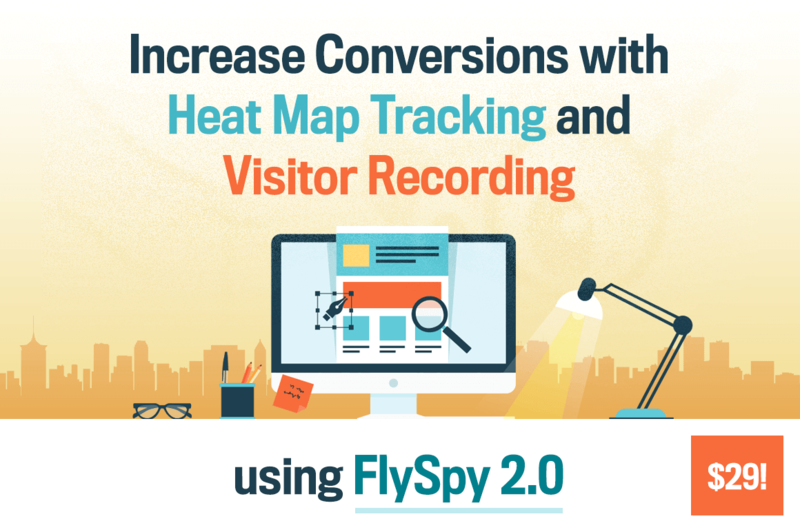 Increase Conversions with Heat Map Tracking and Visitor Recording using FlySpy 2.0 – only $29! 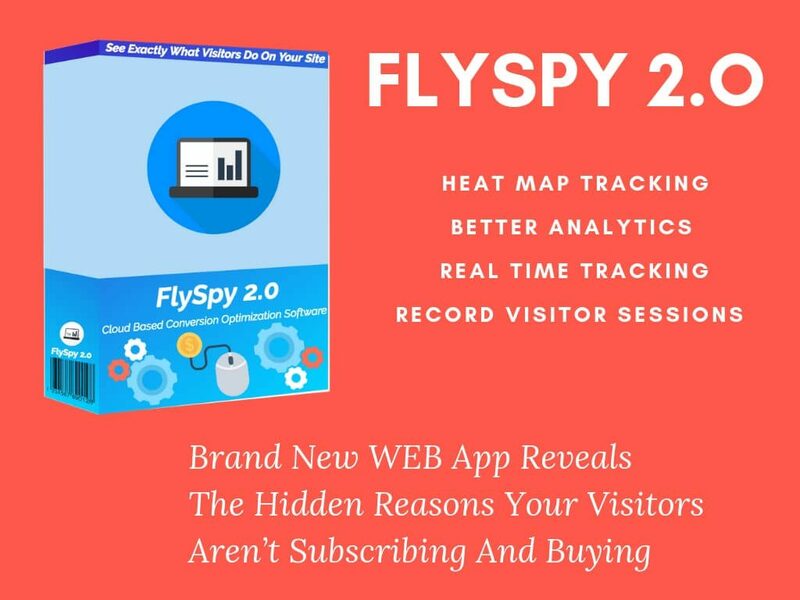 Increase Conversions with Heat Map Tracking and Visitor Recording using FlySpy 2.0 - only $29! 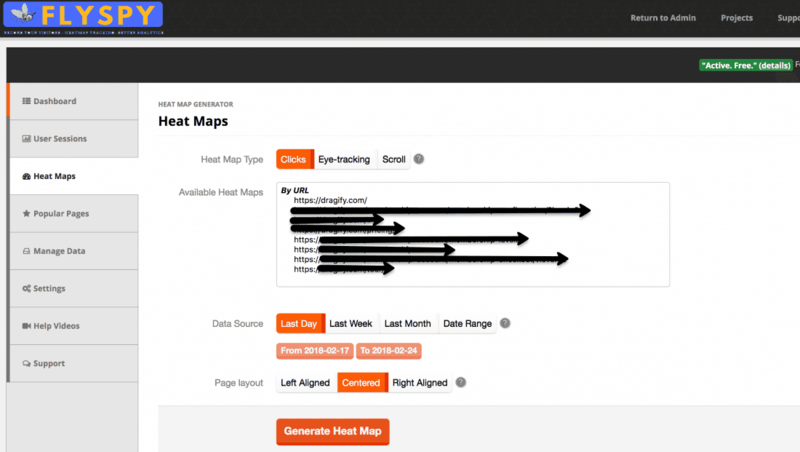 NOW ON: Increase Conversions with Heat Map Tracking and Visitor Recording using FlySpy 2.0 – only $29! 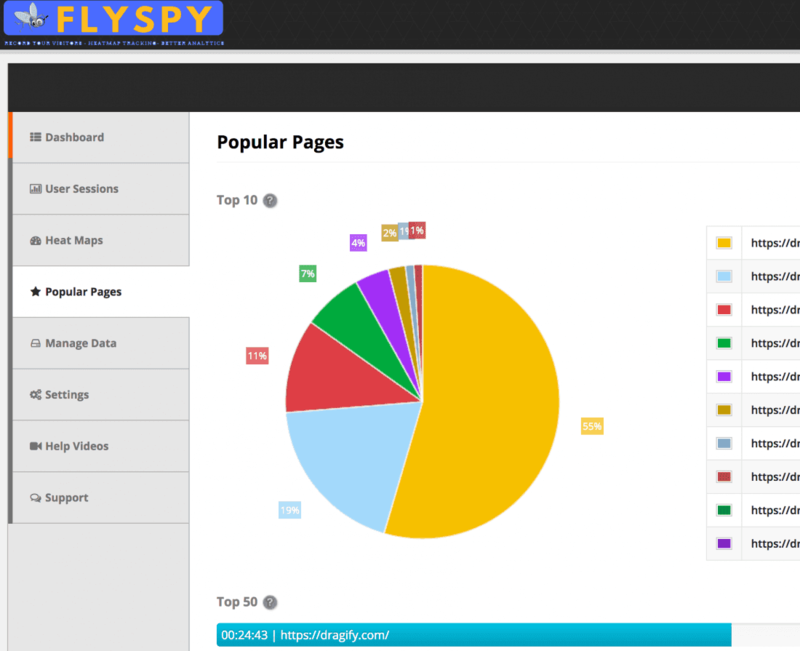 Install FlySpy 2.0 on your site and you’ll quickly learn exactly how your users are browsing your site. 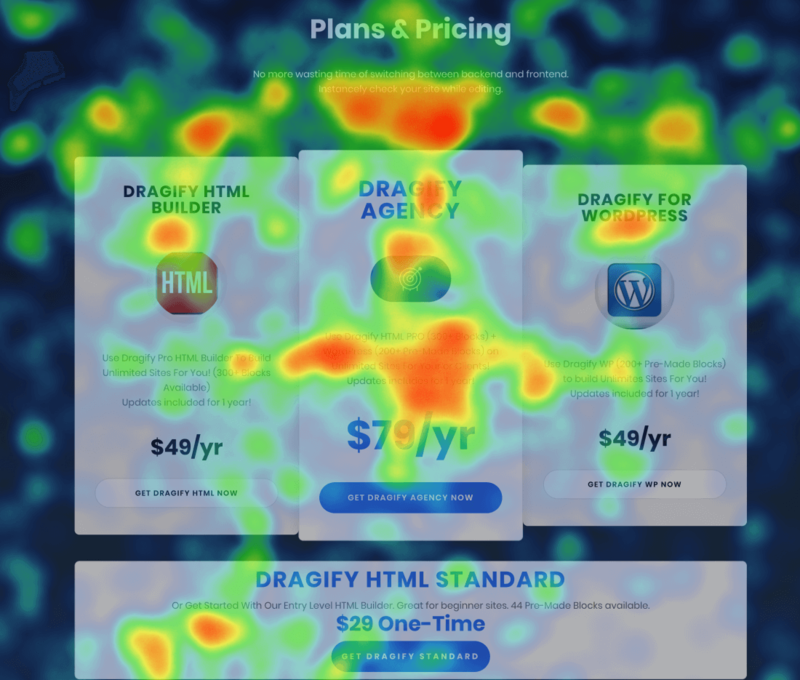 With a variety of heat maps and reports, you’ll be able to analyze and track users to see where they clicked, scrolled and even just moved their mouse. 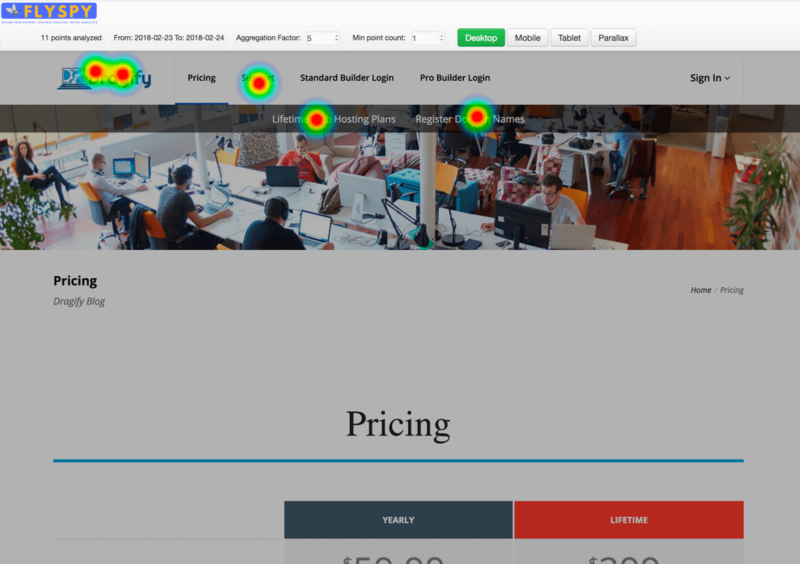 It’s fully mobile ready and you can perform a variety of optimizations and even A/B tests to best improve your conversion rates. 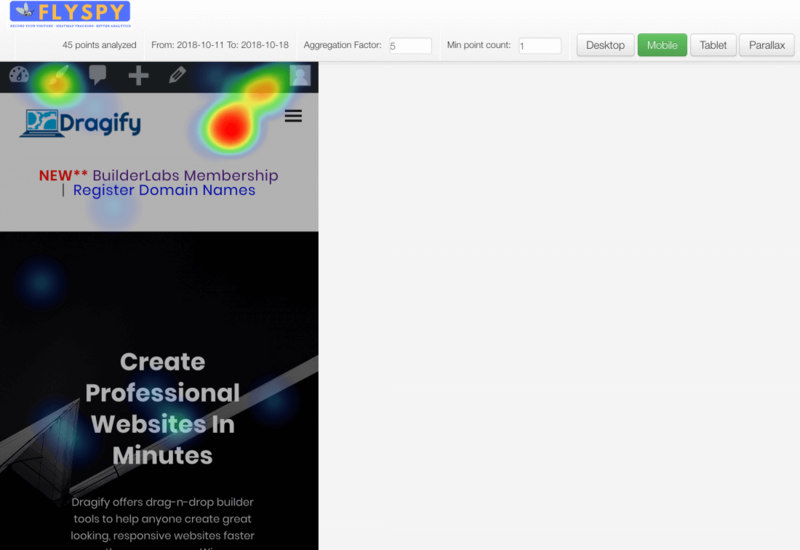 Visually see where your users are clicking around. 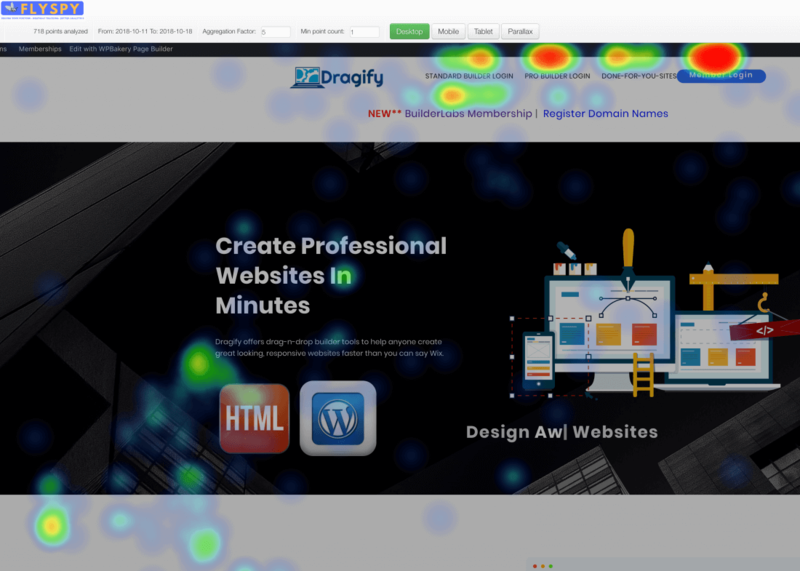 Watch mouse movement and clicks. 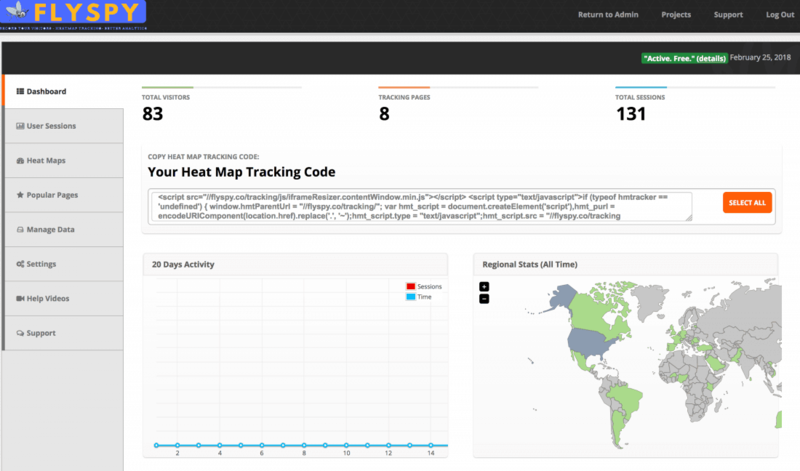 Analyze your data to improve the user experience. 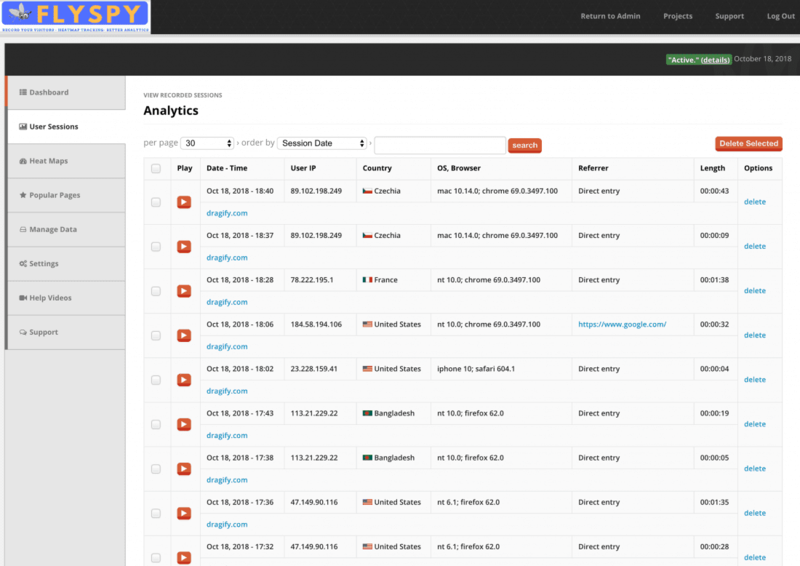 Click the BUY NOW button to start tracking your visitors today! All plans include lifetime access and updates.